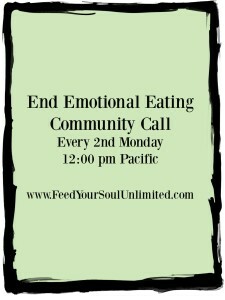 I am so glad you are interested in my End Emotional Eating FREE Teleclass. 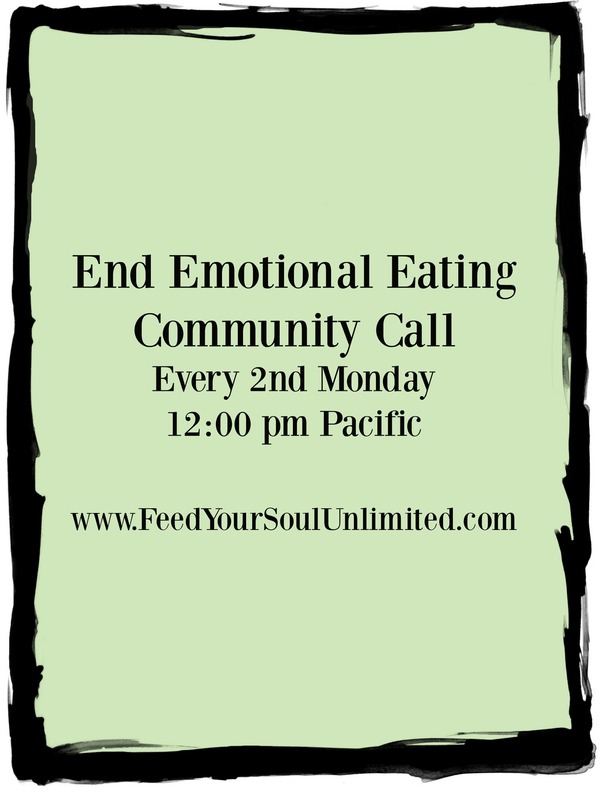 Emotional Eating is such a lonely problem, and I have a monthly call to help you move out of the struggle with food, overeating and into peace with food. Why am I so afraid of being fat? I eat because I am stressed, is that Emotional Eating? I hate myself every time I binge. How do I stop? What is wrong with dieting? I took questions from our Feed Your Soul Community and I answered them on this Teleclass. These questions were heart felt and powerful. To get access to this SPECIAL Teleclass, all you have to do is sign up below. Feed Your Soul Community (Click this link and get in the group!) is a Facebook Group specially designed to inspire and uplift you on a daily basis. The difficulty with food is ultimately not about the food. Sign up below and get access to the recording.